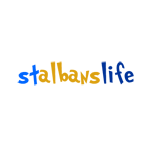 Vibrant St Albans offers you the best of theatres, pubs, guided walks and beautiful, historic parks. Activities include local golf courses, swimming pools, tennis courts, health clubs and adventure centres for children. Whether you are a visitor or resident, this town provides endless opportunities for exploration and healthy pursuits. The St. Albans half-marathon is coming…. Music on the streets of St Albans! Braving difficult weather conditions, the audience of Art Fund members heard David Barrie outline the work and history of the organisation with illustrations of works ranging from a Bronze Age Dirk to an Andy Warhol. St Albans is the city where it all happens! Who needs London’s West End when we have it all here at home. In the coming months, there is a lot on offer to those who love entertainment and a few hours of escapism!